Here you will find information on Airports in the US that offer flights to Dubai and dedicated information pages for each airport in the US that offers direct flights to Dubai. Below is a list of all the airports we have covered on flights from the US to Dubai. Simply click on each link to view flight information for that particular airport and to book your flight from the US to Dubai online via our recommended flight search partner skyscanner. 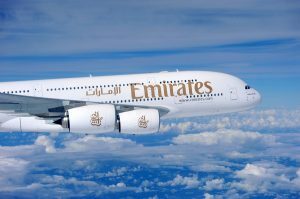 Alternatively you can use the flight search box to the left or at the top of this page to input your departure destination from the US to Dubai and we will automatically show you a list of all available low cost flights to Dubai from the US. The flight search banner at the top of this page also scrolls through every airport in the US that offers flights to Dubai.